Naples is a complicated, often contradictory place, where seaside promenades give way to tangled alleys and a gritty Neapolitan way of life still persists across generations. 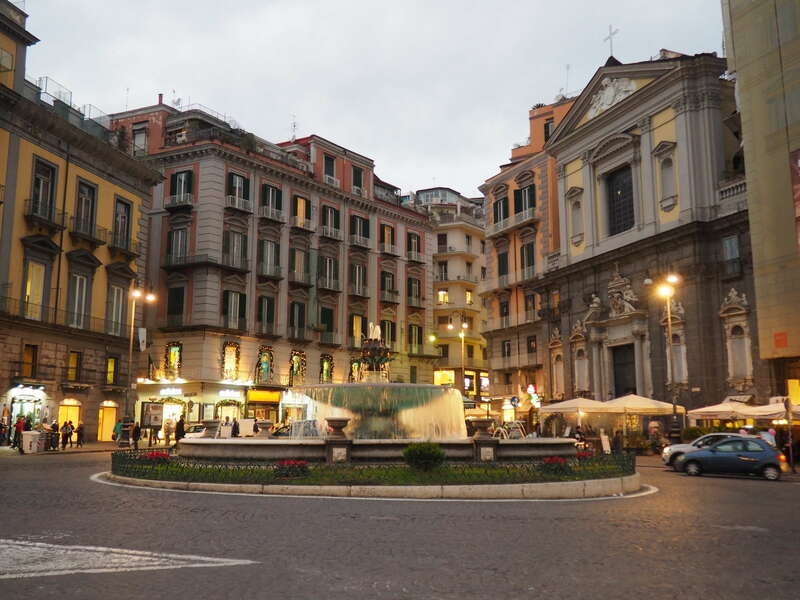 While Rome and Florence routinely host millions of international visitors, Naples has remained remarkably off the radar in Italy despite being just a day trip from the wonders of Pompeii. Its famous pizza, fascinating underground sights, scores of Roman and Greek art, and—perhaps most of all—indefatigable spirit make it an undeniable part of any Italian tour. Visit Naples and discover its vitality with Context's private and semi-private guided tours. While Italy is notoriously resistant to change, Naples remains remarkably steadfast in its identity—which is why we love it and offer over a dozen private and semi-private guided tour options to explore the city's culture. Foodies will eat up our Naples Food Tour with Pizza Making Class, which introduces visitors to customary Neapolitan cuisine, from crunchy, sweet sfogliatelle pastries, to lemoncello, to (naturally) pizza. Urban adventurers will dig deep on our Naples Underground Tour, which descends upon hidden enclaves throughout the built environment to get a better sense of the city's history. And art aficionados will swoon on our Capodimonte Museum Tour, which dives into one of Europe's most underrated, refreshingly crowd-free art collections. For the first-time visitor we suggest our Introduction to Naples tour, which gives a great overview of the city with a local expert, providing valuable insight about must-see neighborhoods, the history of the city, and a peek into its inexhaustible energy.